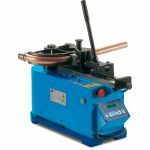 Electric and digitally controlled pipe bending machines for ease of use, speed and accuracy. 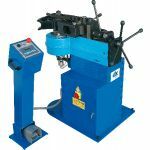 The CBC UNI Digital Electric Series of machines are very versatile, extremely accurate, repeatable and powerful tube & pipe bending machines. 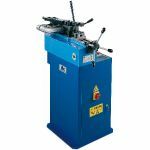 Just a push of a button will bend all your requirements from 1/4"NB to 3"NB and 6mmOD upto 89mmOD. 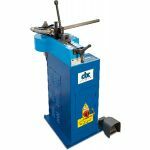 They are ideally suited for bending thick-walled material such as Gas BS1387 & Black (DIN2440, EN10255, ASTMA53), steel, hydraulic steel, stainless steel and other more specialised materials such as CDS and T45 used in roll cage, car chassis fabrication. 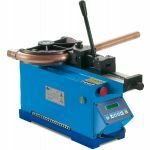 The CBC Uni range can also handle thin or thick walled tube giving them excellent flexibility delivering optimum and repeated bending radii, and little deformation. 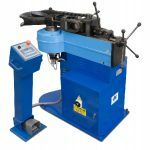 We can also manufacture tooling for Square and section material, plus tooling to any non-standard centre line radius you may require. 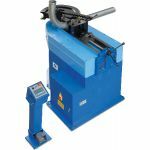 The UNI60&70 machines can be fitted with Mandrel bending equipment at a later time for those who wish to bend thin-walled tube to a tight centre line radius, making them extremely versatile and modular.